St. Patrick's Day puzzles - Planes & Balloons | Let's make learning fun! Planes & Balloons | Let's make learning fun! This post may contain affiliate links. Read the full disclosure here . 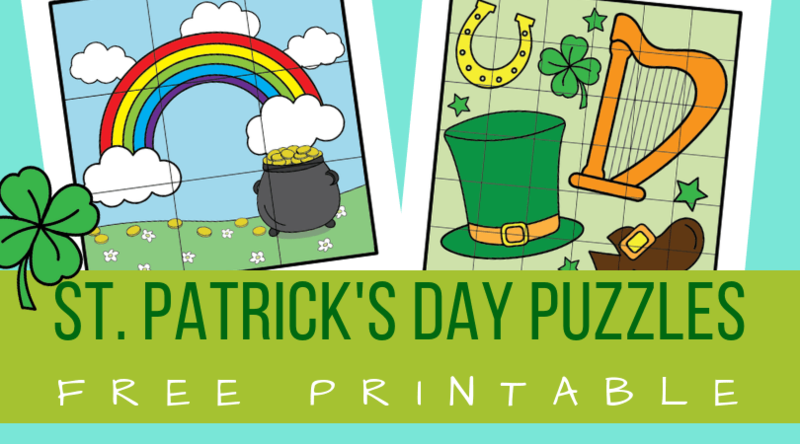 In today’s post: Fun St. Patrick’s Day puzzles for kids! 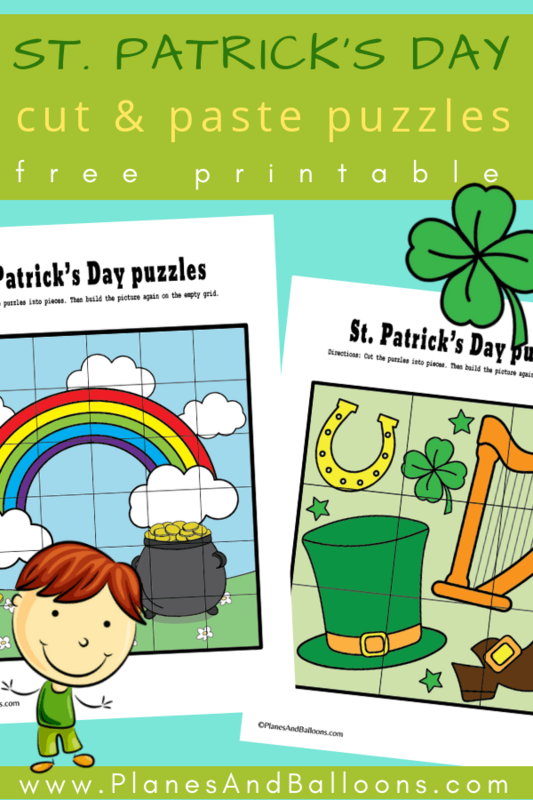 Here is a quick and fun St. Patrick’s Day activity for preschoolers and kindergarteners – two sets of cut and paste St. Patrick’s Day puzzles! Children will have lots of fun solving these while exercising their fine motor skills as well. 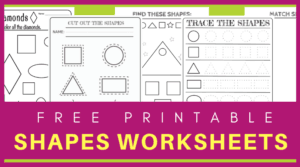 If you are looking for some fun activities to celebrate this popular March holiday, then you’ll enjoy my free printable puzzles. There are two different designs with two levels of difficulty – a nine-piece puzzle and 36-piece puzzle. Choose them according to your child’s skills. Print out the puzzles preferably on a cardstock paper for more durability. If you plan on using them multiple times, make sure to laminate them. Then cut out the pieces. And viola! The puzzles are ready to use. If you want to turn these into a cut and paste activity, have your child help you to cut out the pieces. Don’t laminate these, but instead let your child glue the pieces on the attached puzzle grid. 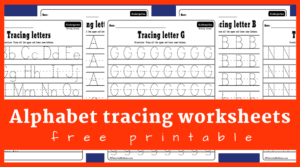 Feel free to use these printable puzzles with kids in your classroom or at home. To download, just click on the download link at the very bottom of this post. Please keep in mind that these St. Patrick’s Day puzzles are for personal or classroom use only. Altering or re-distribution are not allowed in any way. Thank you! Welcome to my site full of educational printables and activities for young children. You’ll find free printable worksheets, coloring pages, and seasonal activities here on Planes & Balloons. I am so happy you’re here and I hope you stay a while. Read more or find me on Pinterest! Copyright ©Planes&Balloons All Rights Reserved.